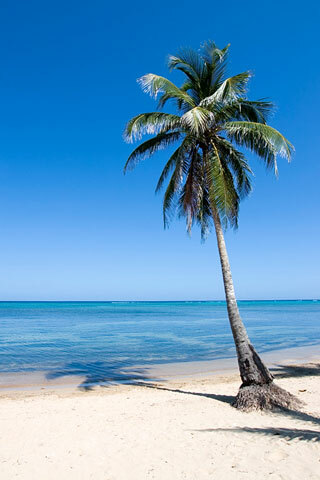 A lone palm tree stands on white sands, while calm, blue waters provide a calming backdrop. The islands dotting the Caribbean Sea offer sun, sand, surf, and sky for those looking for a respite from today's busy world. Feel the sand between your toes, listen to the pounding surf, and enjoy the sun warming your skin. Walk along the beach, lounge in a beach chair, shop busy island streets, or relish the delicious cuisine the Caribbean has to offer. The Caribbean islands are a popular travel destination for those seeking relaxation, tranquility, and a tropical climate. Use the search box on this page to find information about Caribbean islands and related topics.